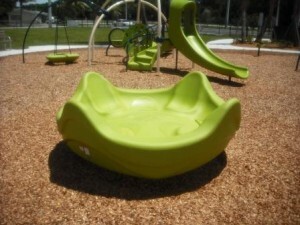 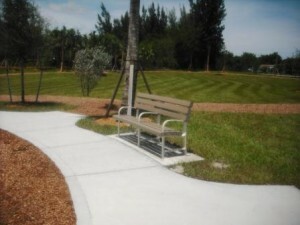 Located along 45th Street between Haverhill Road and Florida’s turnpike in West Palm Beach, Gramercy Park is Palm Beach County’s newest county park opening this Saturday August 15th. 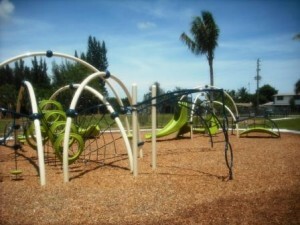 Ribbon-cutting at 9 a.m. followed by music, children’s a activities and refreshments. 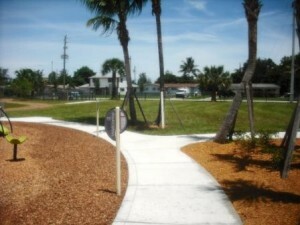 Gramercy Park is a 1.89-acre community park providing lots of safe play area for children in the neighborhood. 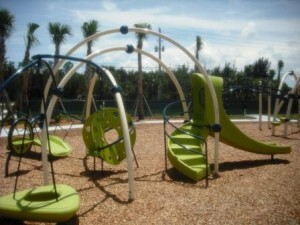 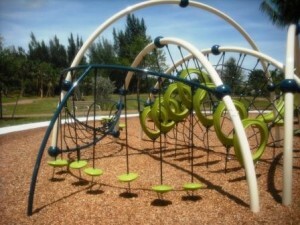 The children’s play area features two play structures, one for 2-5 year olds and a larger one for 6-12 year olds, a slide, climbing structures and spinning structure to provide hours of fun for the kids. 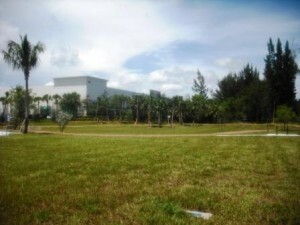 Large grassy area for children to run around. 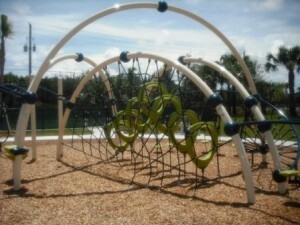 The play area is surrounded by a paved walkway with several benches for parents to relax while keeping an eye on the children. 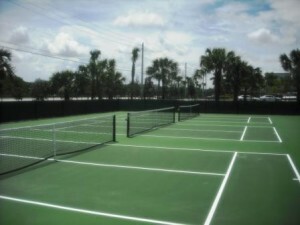 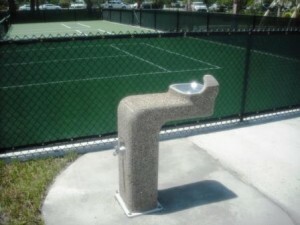 Gramercy Park also offers three junior tennis courts, a bicycle rack, water fountain and convenient parking area. 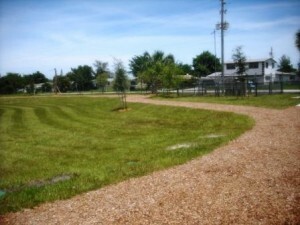 This park also has a 0.12-mile mulch path that takes you on the perimeters of the park with an open grass play area in the center. 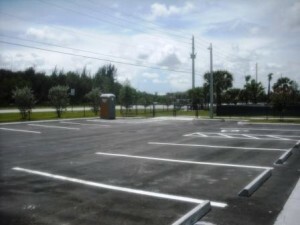 There are no restroom facilities in this park however there was a portable toilet in the parking lot at the time of my visit perhaps placed temporarily for the grand opening. 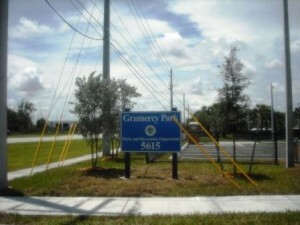 The County hopes to eventually build a community center at the site but for now, Gramercy Park is welcome by all the local residents.